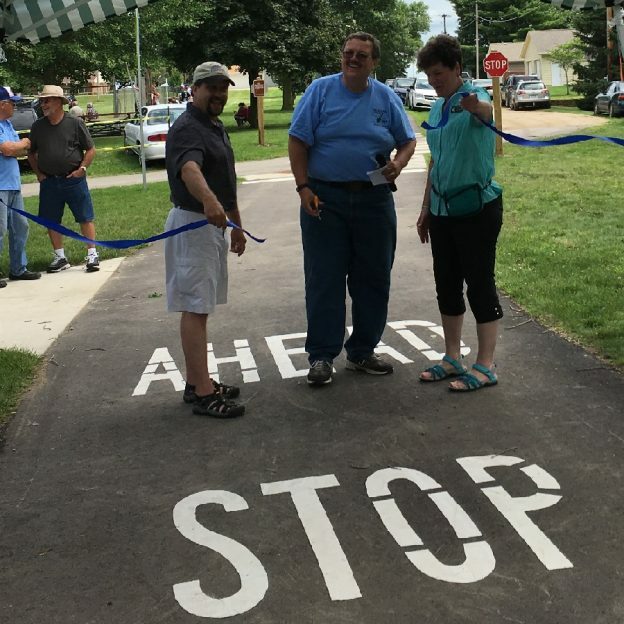 The Hayward, MN trail’s new east end trail head dedication was held Sunday, July 17th with country fan-fare. At the celebration of the Blazing Star Trail was Joel Wagar (from MN DNR) and Peggy Bennett (MN Representative). Hayward Mayor, Mike Hansen, was also present to cut the ribbon. Now the communities of Albert Lea and Hayward wait patiently for the bridge over Albert Lea Lake to connect the two section of the trail. Everyone was optimistic that funding for the bridge will come in the next legislative session, so the trail could be completed by 2018. The east end of the Blazing Star Trail has about a mile and a half of pavement. The dedication and fun was held at the Hayward City Park, located about four miles east of Albert Lea. After the ribbon cutting, kid’s from four to ninety enjoyed the events planned. Throughout the afternoon, people enjoyed games, bike/walk events, lemonade (at the west end of the trail), root beer floats, and prizes. 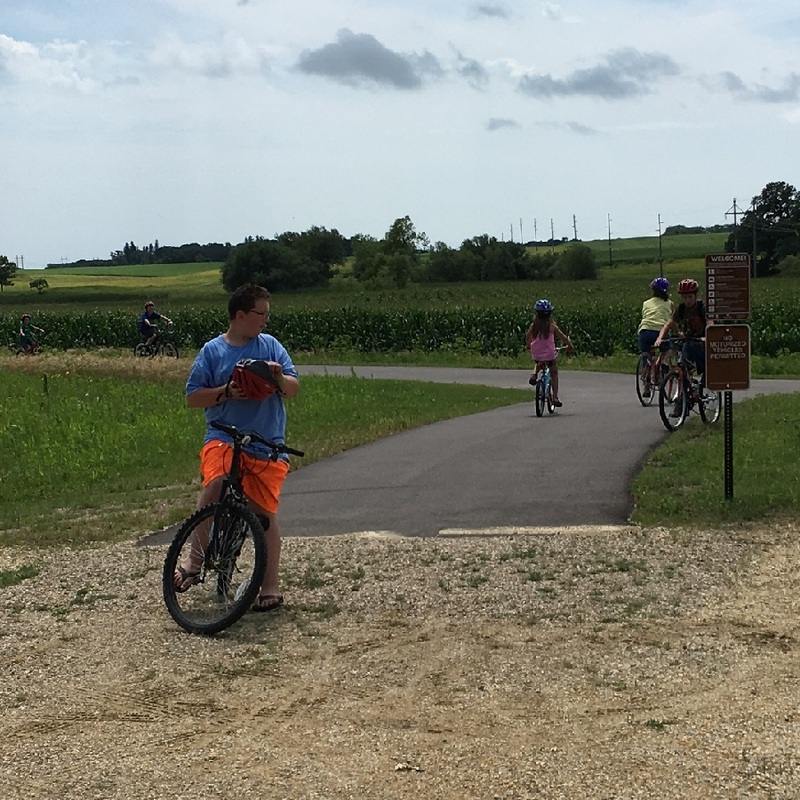 Resident and visitors rode their bikes on the new section of the Blazing Star Trail, enjoying lemonade and cookies at the end before returning back to Hayward. While waiting for the bridge over Albert Lea Lake, the DNR is planning on scheduled meetings. 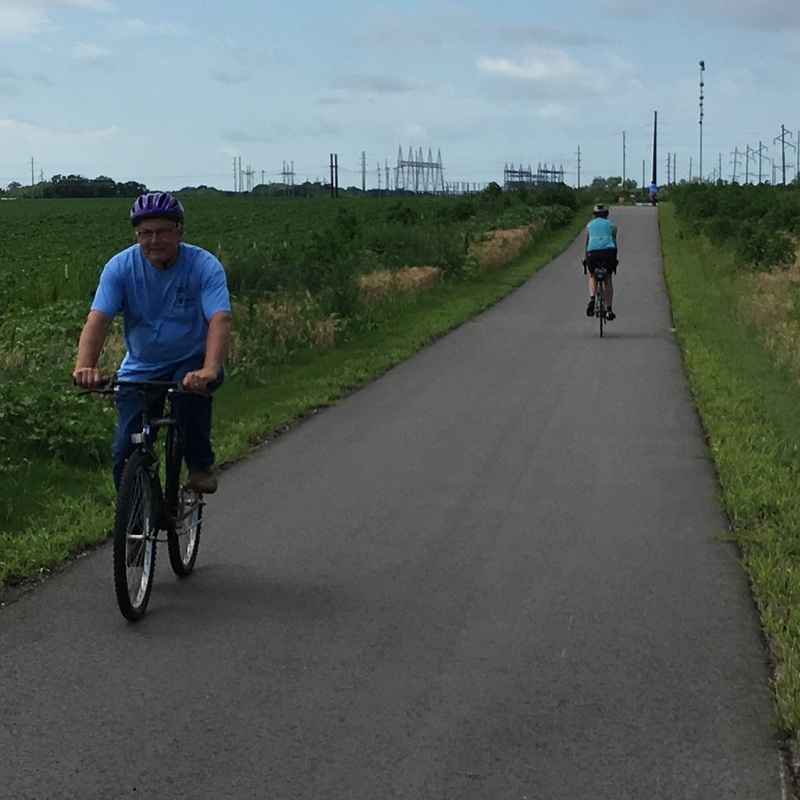 The meetings will discuss possible options to eventually extend the trail. This would be from Hayward to Austin. Once the bridge over Albert Lea Lake is completed, adjacent to a Canadian Pacific Railroad bridge, the they hope to connect it to the Shooting Star Trail in Austin. 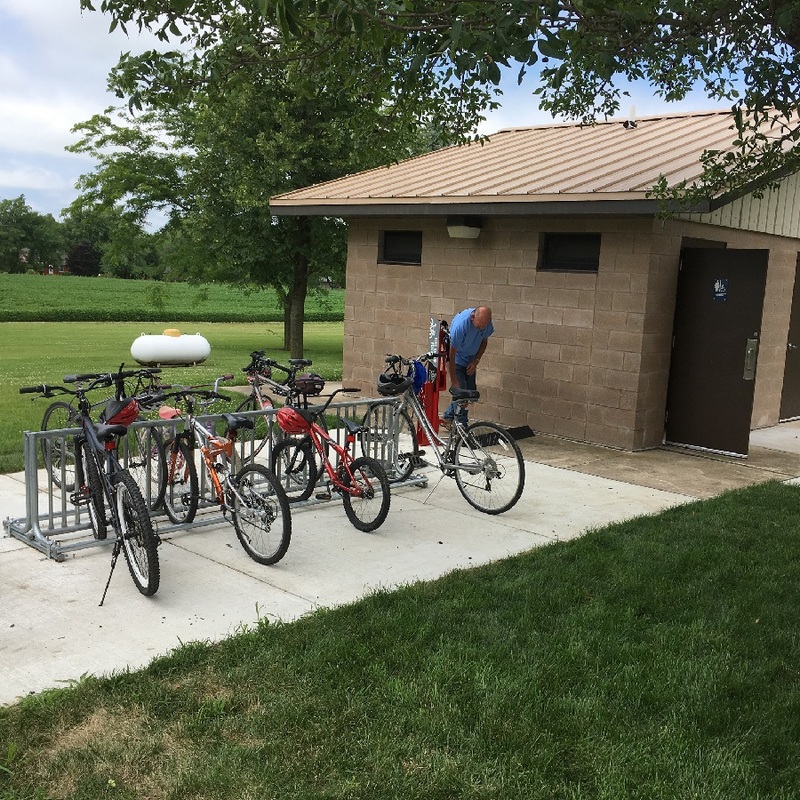 The Blazing Star trail head, in Hayward, has a new rest room facilitates, bike racks and a fix-it-station in the park there. Once the trail reaches Austin, it would be about 20 miles long. 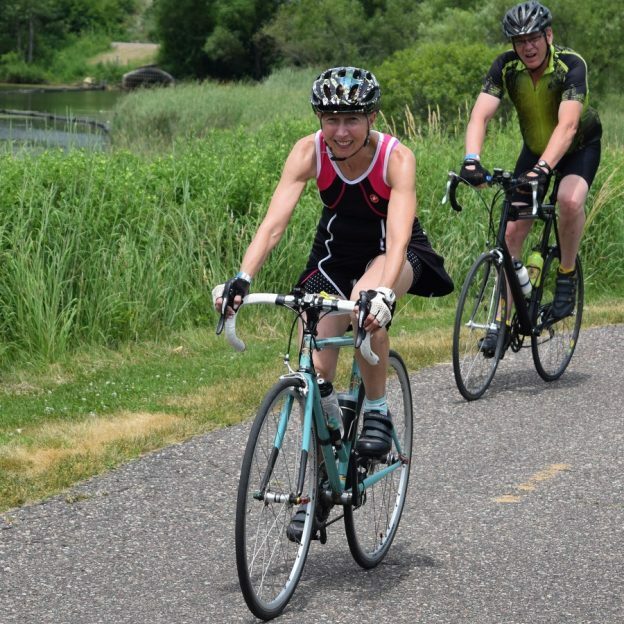 With long term goals set, someday bicyclists will have the ability to ride from Albert Lea to Austin. 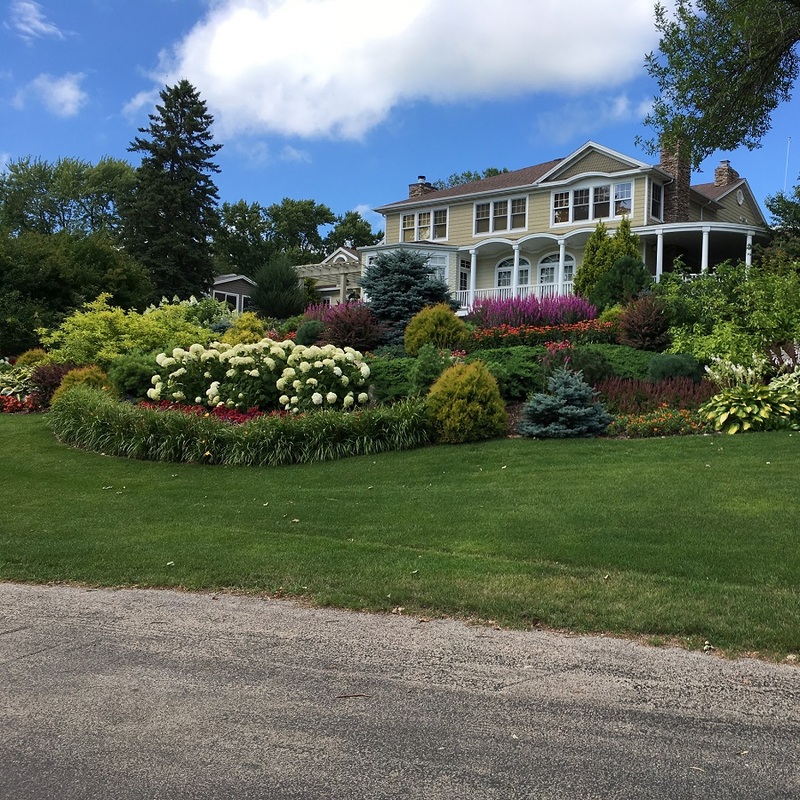 Known as the “Land Between the Lakes,” Albert Lea is nestled between Albert Lea Lake and Fountain Lake. 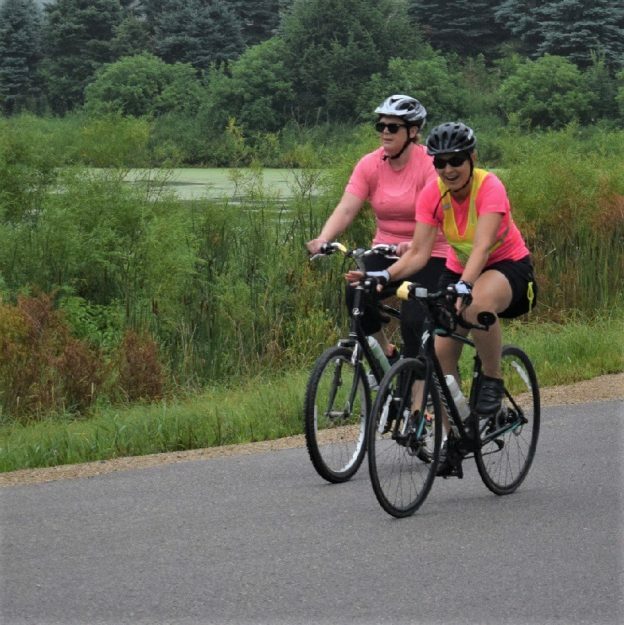 Geographically located at the crossroads of Interstate I-90 and Interstate 35W, in southern Minnesota, this charming community offers many bike touring options. Today you will find a relaxing setting to bike with family and friends. You can do this while enjoying some of southern Minnesota’s hospitality. 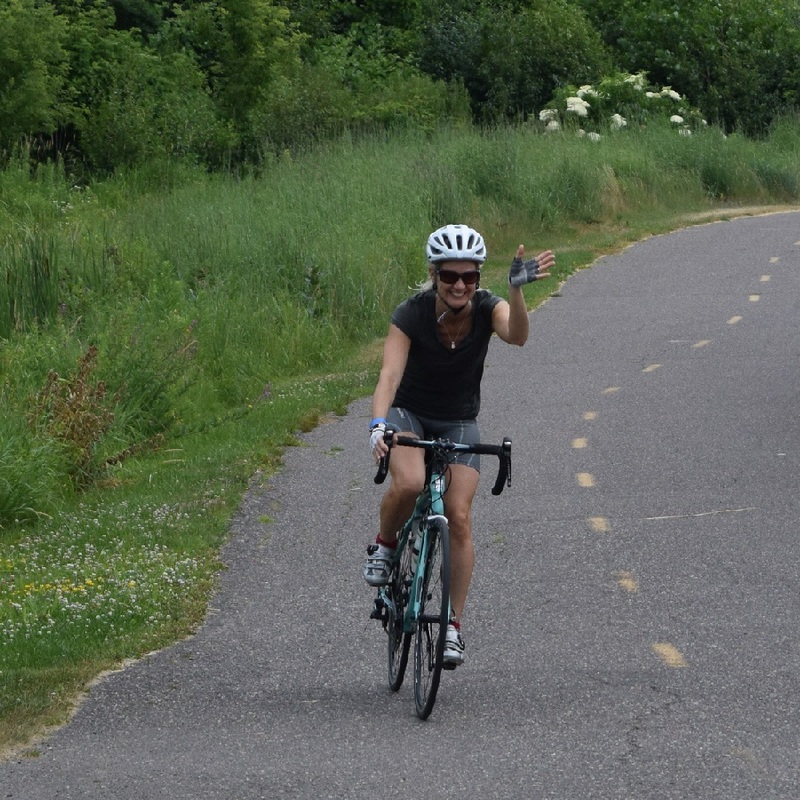 Along with the blazing Star Trail, we found that the roads around Fountain Lake are reminiscent of Lake of the Isles, in Minneapolis. For more information contact the Albert Lea Tourism Center. 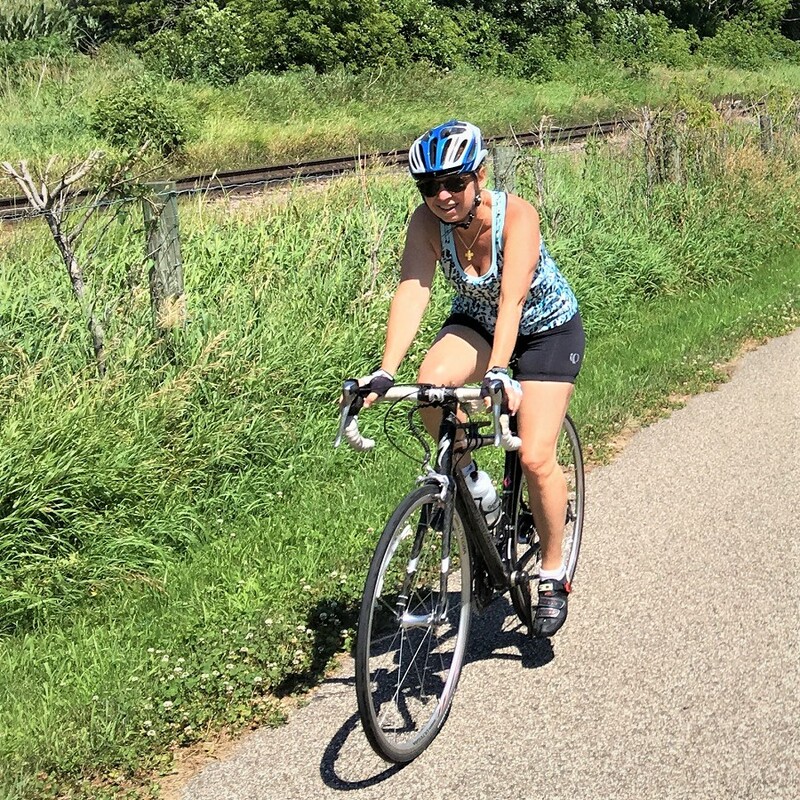 This entry was posted in Uncategorized and tagged #FindYourNextAdventure, #onlyinMN, Albert Lea MN, Blazing Star Trail, Hayward MN, MN trails, Myre Big Island State Park, Rails to trails on July 22, 2016 by Russ Lowthian.